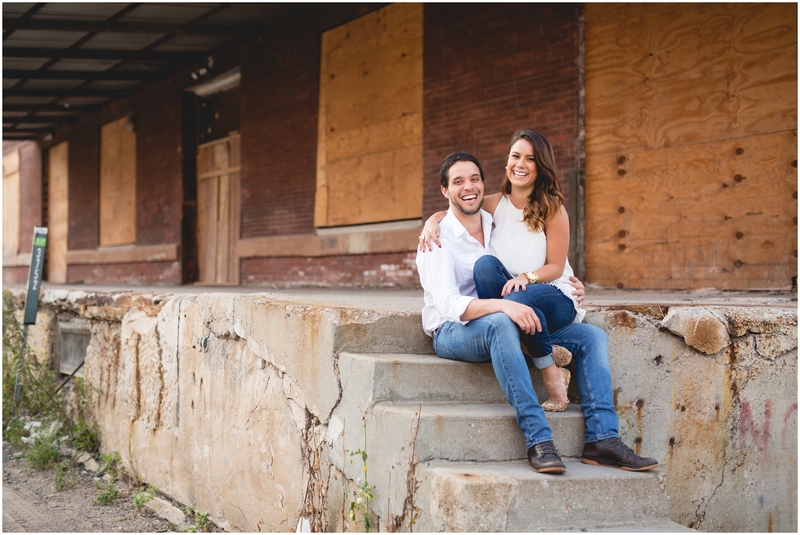 Anita and Maurico’s urban engagement session rocked – to say the least 😉 These two are just SO stinkin’ photogenic and IN LOVE it is obvious. We always love working with couples who love photography as much as we do – so these guys are a real treat! If you’d like to see session with a different feel then I’d encourage you to check out these downtown engagement pictures. Anita and Maurico actually grew up in Costa Rica and Maurico now lives here for residency – Anita will get to join him after their March wedding in CR – and we hope to see a lot more of them in the future 🙂 It was fun having them over for an engagement session reveal – it was fun hearing about their plans for their Costa Rican Wedding – it sounds like the parties start early in the week and go well into the night on the day of. I always love hearing about other cultures wedding traditions. This session started out just east of downtown in the warehouse district. 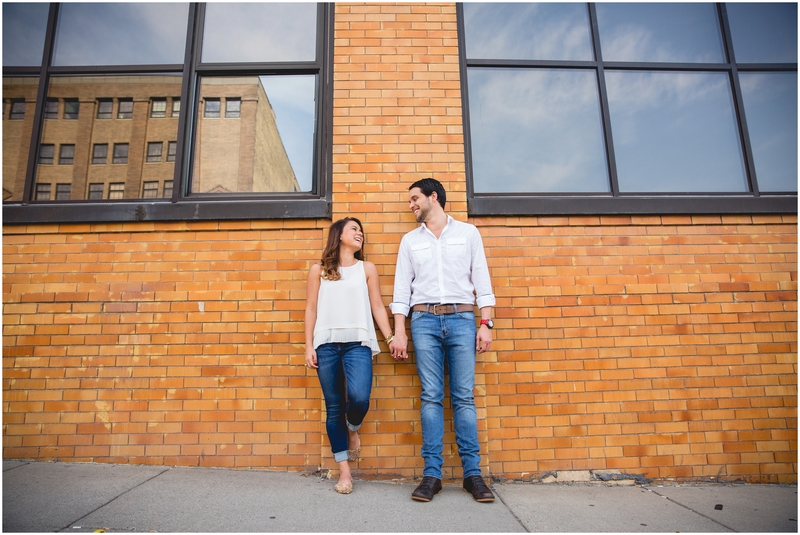 In this area you can find great urban backdrops, and I think that we captured some of our best engagement photos ever! All the straight lines and sharp angles make for incredibly unique lighting opportunities and really allow us as photographers to get creative. I really enjoy the opportunity to using dramatic lighting and the shapes of buildings to frame the couple and make them standout. Engagement photos are definitely about capturing two people who are in love, but when you can make them be artistically interesting that is a win win! 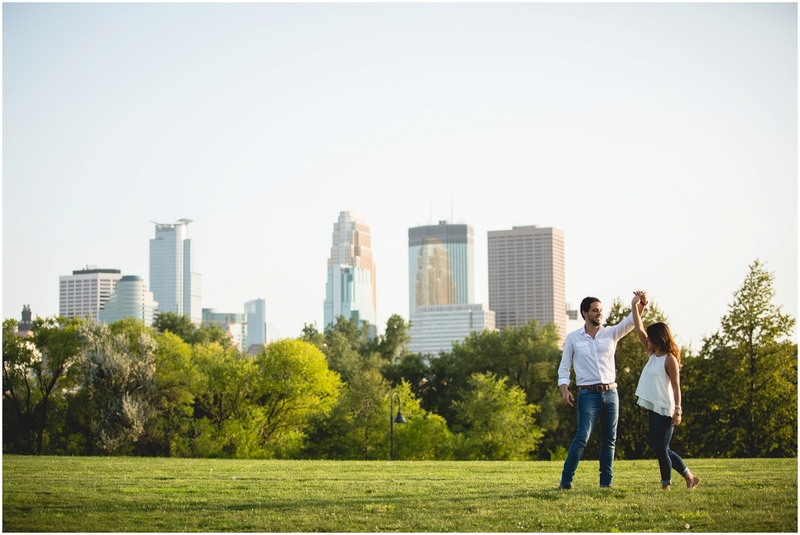 If you’re interested in comparing a lot of different options for your session then check out the our main engagement photos page to see a large variety of images and locations. Anyways – Thank you so much Anita and Mauricio for letting us be part of this season in your life – you two are just so sweet together and it is a pleasure to know you both! All our best to you two!